The Biafran struggle has been on the minds of many Nigerians recently. This is partly because Nnamdi Kanu, the director of Radio Biafra has kept the struggle up, despite his detention by the Nigerian government. The question, what do Biafrans really want is one many have asked. 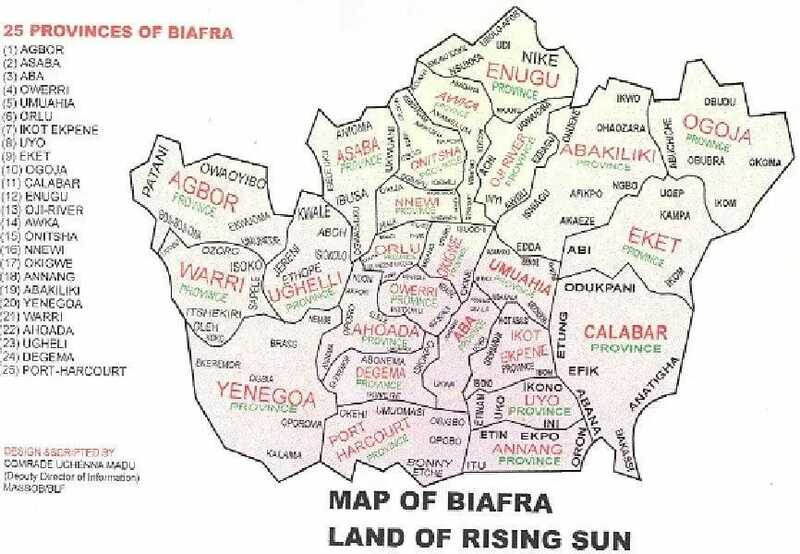 The map of states the Biafrans want includes the former Eastern region of Nigeria, which was inhabited principally by Igbo people. Meanwhile, world acclaimed Nigerian novelist, nonfiction writer and short story writer, Chimamanda Ngozi Adichie is to lead team of scholars to Washington where a discuss boardering over Biafra will take central stage. The writer whose words on the the issues surrounding feminism has a global attention, would be the keynote speaker at a conference tagged: " Remembering Biafra", scheduled to hold at the The George Washington University in DC. George Washington University's “Remembering Biafra” conference will bring together scholars, activists, and humanitarians to examine the global impact of the Nigeria-Biafra War of 1967-70. 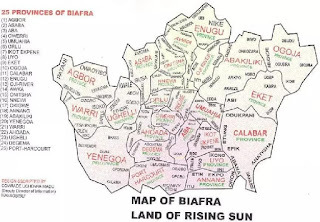 0 Response to "12 Nigerian states Biafra agitators want (SEE FULL LIST)"